Here are some thoughts on how Traditional Chinese Medicine and Acupuncture can help with weight loss and improving the digestion. Acupuncture for weight loss involves the insertion of tiny needles to help improve the digestion. Traditional Chinese Medicine for weight loss would be the use of herbal medicine to improve the digestion. Diet drugs have made a comeback, but even the medical profession acknowledges their limits. Most produce modest result for the majority of patients and are for short -term use only. And some studies show that once you stop taking the medication, any lost weight is gained back. Then there are the possible side effects, such as elevated blood pressure, dizziness, insomnia, gastrointestinal disturbances and impotence to be taken into account. Some diet programs use nutritional supplements or prescription medications to suppress your appetite. This makes no sense from a TCM perspective. TCM views hunger as a vital signal from your body. Appetite suppressants send a wrong message, telling your organs to reduce or stop their natural functions. If there is damage caused by the appetite suppressant, then your body will have to supply extra Qi to the organ to fix it, which is contrary to the healing process needed for healthy weight loss. Also, any damage to the organs’ function will make it harder to maintain weight loss later, once you stop taking the pills. Gastric banding, or stomach stapling, has received a great deal of media attention recently. From the TCM perspective, reducing the stomach’s size must surely interrupt its function. Also, operating on any organ can damage the corresponding meridians, the invisible energy pathways that rum throughout your body. Aside from the obvious loss of appetite and serious side effects from this surgery, TCM recognises other side effects that might not seem connected. The Spleen/Stomach organ system in TCM theory is related to muscle and fat. So, if the organ that controls these tissues is being reduced, one possible side effect could be muscle pain all over, particularly on the side of the legs where the Stomach meridians run. The Heart, as the mother organ of the Stomach, would possibly carry an added energy burden after this surgery, too, in an attempt to make up for the reduction in the size of the Stomach and its customary functions. In many diet plans, exercise is a major component. “No pain, no gain” is the credo. Again, TCM takes a different stance. Instead of improving cardiovascular health, very vigorous, sweat-producing exercise regimens can actually impair it, according to TCM. Sweat is the body fluid related to the Heart in TCM theory, and excessive perspiration can throw this vital organ out of balance and impair its function. Aside from expending large amounts of Qi, strenuous high-impact exercise frequently causes tendon problems. Because the tendons are considered the “tissue” of the Liver, TCM believes that exercise that impacts the state of the tendons can also have a negative impact on the Liver. Because the human body is approximately seventy percent water, from the TCM perspective it responds best to soft, fluid movements and exercise such as dancing, Tai Chi, Yoga, jogging, cycling, gentle swimming and best of all, walking in nature. Qigong (Chi Kung) is a system of energy exercise that is used extensively in China to treat a wide range of conditions including obesity. TCM regards Qigong as a self-healing energy practise, especially helpful to people trying to lose weight because it can help increase your body’s Qi. Tai Chi and Aikido are very good forms of exercise for those with more energy. To heal your body and lose weight, TCM recognises that Qi needs to be increased, not decreased, so exercise must bring energy into your body, not expend it. How much does anger weigh? What about sadness? Perhaps the most interesting aspect of TCM’s view of excess weight is the role played by your emotions. TCM treats the body, mind, emotions and spirit as an integrated and interrelated whole. This means to have true physical health there must be emotional health. When TCM looks at digestion, it takes the broadest view: digestion is the ingestion, absorption and letting go of food and drink- and emotion. According to TCM theory, each of the five organ pairs has a corresponding emotion. For instance, anger and stress are related to the Liver and Gallbladder. TCM understands that chronically held emotions act like internal pathogens, setting up an imbalance in the way your organs function. Often, TCM practitioners urge their patients to emotionally “let things go” or to slow down and take more rest. If you hold on to an emotion, it will stay “undigested” or stagnant in your system and create disharmony and disease. From the TCM viewpoint, stress plays a large part in overweight conditions. Unrelenting stress creates a negative vibration that impairs Liver function. Because the Liver controls the digestive process that takes place in the Spleen/Stomach organ pair, its dysfunction can disturb healthy digestion. TCM encourages you to tune in to your own body and spirit, recognising that each of us is entirely unique. It’s up to you. 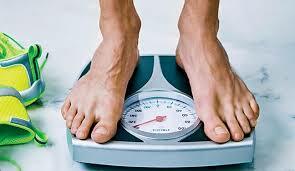 Do you want quick weight loss results at the expense of your long- term health? Or do you want lasting weight loss that brings the benefits of harmony and balance? There are many health benefits of acupuncture. Traditional Chinese Medicine, with its age-old specialities of prevention and lifestyle modification, is a safe and truly healing weight loss resource just waiting to be discovered.